Monday!! Not my favourite day of the week, but absolutely the favourite one of my 2,5 year old son Niklas. It's the day for Muki gym (Mutter-Kind / mother-kid) and he is talking about it all week. I am also looking forward to spend some time just with him and he loves to jump and run. 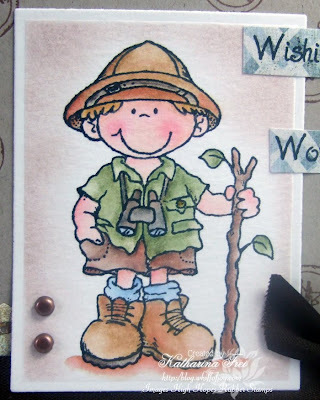 Today's card, which I did for this weeks High Hopes Challenge with the theme "a dude's card", features Walkabout Wally, the coordinating sentiment and the compass stamp, which I used to create my own background. Meine heutige Karte, die ich für die dieswöchige High Hopes Challenge, mit dem Thema "Eine Jungenkarte", gemacht habe zeigt Walkabout Wally, den passenden Text und den Kompass Stempel mit dem ich meinen eigenen Hintergrund gestempelt habe. I coloured Wally with water soluble pens, watertank brush and Twinkling H2Os. The background is done with SU pastels ( I left my Nestabilities over the image to protect the outer border while applying two different colours with a sponge dauber. Thanks for visiting! Have a wonderful week. Ich habe Wally mit Aquarellstiften, Wassertankpinsel und Twinkling H2Os coloriert. Den Hintergrund habe ich mit SU pastels gemacht. Ich habe meine Nestabilities als Schutz für den Rahmen liegen gelassen während ich mit einem Schwämmchen doe Farbe aufgetragen habe. Ich danke euch fürs Reinschaun und wünsche euch eine schöne Woche! gorgeous card katharina. have fun at mum and child group. we are going to on this morning too! 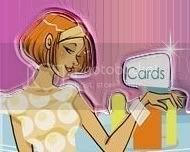 Such a fabulous card your colouring is just supurb! 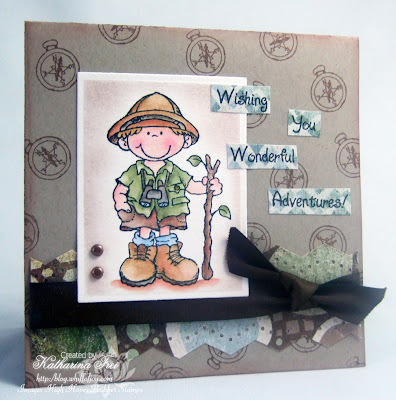 Loveyour stamped background looks wonderful! Have a great time at the gym! Eine schöne Karte hast Du da gezaubert! Mir gefallen all Deine Sachen super gut. Genieß die Zeit mit dem Kleinen, das geht so schnell vorbei und dann sind sie groß! Deine Karte ist toll geworden. Als Tobias noch so klein war hat er sich auch immer auf den Muki-Tag gefreut und nun ist er bald 10 Jahre alt. Wohin nur die Zeit so schnell rinnt? Aber ich kann ja dann nächstes Jahr mit Sarah wieder dorthin gehen. Auf das freu ich mich schon sehr. I have left you a little something on my blog. You did a great job with the challenge! I love the background you created and your coloring is awesome! Have fun with your son today! It's a Holiday here in the US (Martin Luther King Day) so my husband is off. I'm still in my PJs...gotta love that! again... a beautiful card !!! Another fabulous card. I love visiting your blog. Great card Katharina....love Wally!! I really like how you did the background. Mondays.....yeah...it was tough getting up this morning after having Thursday & Friday off due to the cold! Hope you have a great week!! Deine Jungenkarte ist total süß, aber die schwarze Schleife gefällt mir persönlich nicht so gut. Ich hätte vielleicht eine braune genommen. Good coloring! This is such a good image for a little boy card. I think you did such a pretty job at him. oh Katharina...I just cannot miss any of your posts as they are all so special...this one is no exception...love it! fabulous card Katharina, wally sure looks like one cool dude. beautifully coloured. Hope that you and Niklas had a wonderful time yesterday at Muki gym. Fabulous card Katharina I love this little guy he's so cool.Great colouring and your background just fits perfectly. I love this card Katharina, great image. So well done, Katharina!! You are amazing! !